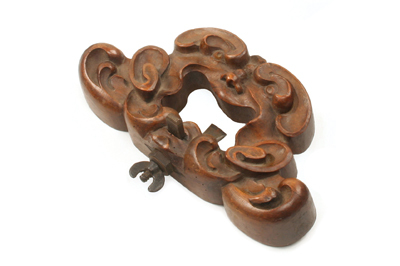 David Stanley Auctions have another splendid auction lined up on 28 September. With 1,150 lots of antique woodworking tools and tools from allied trades on offer, it promises to be both an exciting and democratic event, where collectors and craftsmen alike will have the chance to come away with a new-found treasure or two, whatever their budget. There will be the fifth portion of the David R. Russell collection with many of the items Russell is putting under the hammer featuring in his book Antique Woodworking Tools. 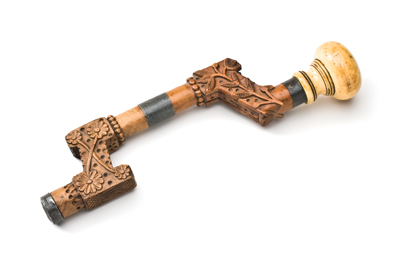 There will also be the second portion of the Luigi Nessi collection from Switzerland with 92 lots of unusual and fine continental European tools. 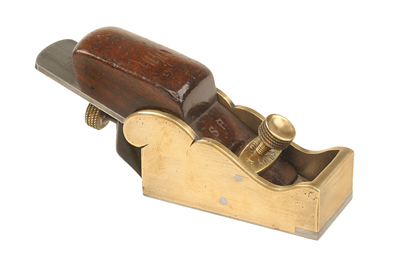 And up for sale will be the first half of a 200-strong collection of Stanley planes from a London collection. 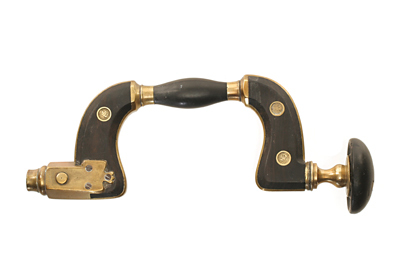 Among the 35 Norris planes for sale will be a rare adjustable brass chariot plane estimated to fetch between £7,000 and £10,000, while at the other end of the scale a rare beech (Fagus sylvatica) wedge-arm plough plane marked by Norris & Son, York Road, Lambeth as maker or dealer, in top condition, is listed with an estimate of between only Â£50 and Â£100. One of the highlights among the rules being sold is a 2ft hardwood rule dated 1552, found some 30 years ago in the attic of a Dorset country house. It is estimated to sell at between £3,000 and £5,000. A number of carved wooden planes will be in the sale, including, from an American collector, a smoother with dragon's-head tote and an early old woman's tooth - OWT - router in the form of an old man's head. 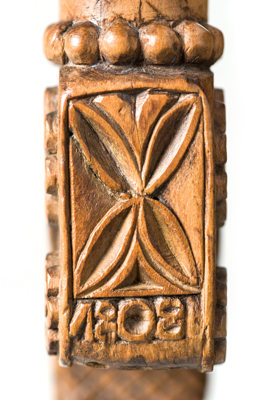 A wonderful selection of 45 braces will include a rare Sims brace and a carved wooden brace, probably continental European, dated 1808, the latter expected to bring between £3,000 and £5,000. "The tool trade in general still appears to be brisk," says David Stanley. "We keep wondering who is going to buy all the lots in the catalogue but new buyers and collectors keep turning up. We are always surprised by the number of new faces at the auctions." Bidders at David Stanley Auctions are a motley crew of collectors, dealers and craftsmen. Some like the idea of owning a piece of history, some the thrill of the hunt and some the inventiveness or design of the tools they buy. Tools are also being bought by craftsmen to use. Many old tools are better made than their counterparts today in terms of balance and handling and they often come at lower prices. Old tools were supposed to have been made of better steel, though according to Mike Hancock of Classic Hand Tools, contemporary Sheffield tool-makers like Clifton, Thomas Flinn & Co. and Robert Sorby are gathering strength with their superb tools made of the finest steel. "Our four general tool auctions that we hold each year are also doing well," commented David Stanley. "For the first time we are oversubscribed with entries each time, offering over 1,000 lots each sale with very strong bidding from dealers and collectors alike." 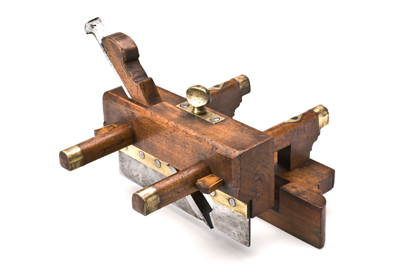 I cannot help thinking - or hoping - this buoyancy in the market reflects in part a burgeoning interest in the history of woodworking tools and a recognition of the overwhelming contribution tools have made to material culture. With a wealth of antique tools coming on the market, there is a need for the history of woodworking tools to be studied seriously, at least in the big tool-manufacturing centres of Birmingham, Glasgow, Sheffield and London; and colleges, museums and local study centres at public libraries in the those cities ought to be making more of their local tool-making heroes. Thankfully the tables are slowly turning! The Victoria and Albert Museum's new Furniture Gallery has been open now for more than half a year and is helping to bring the history of techniques and tools into focus alongside the form and function of furniture, and the hagiography of its makers. This can only do good in leading to a better understanding of that missing link between the craftsman and his product, namely his tools and how he used them.